The results of your break-even analysis and your market research give you a good picture of where you are now. You have also articulated what you personally want as an entrepreneur–money, power, use of talents, creati­vity, be your own boss. You have screened your business idea. Now you need to define what you want your business to be. To do this, you need to go through a strategic thinking process. It is the first phase of your business planning. Scientist and inventor Alan Kay says: “The best way to predict the future is to invent it.” Create the future of the business that you want first in your mind. Explore, clarify and define that unknown. In business you do not become successful by accident. For a business to succeed in the environment and in the social, political and economic climate today and in the near future, everyone in the organization, owners and employees alike, needs to use their leadership, make bold decisions, act innova­tively and seize opportunities. There is an increasing need to define the enterprise clearly in terms of meaning, purpose and values. Meaning is your “vision” or the significance you attach to your endeavor. It is the star to which everyone and everything else in your business are hitched. It is your possible dream, burning desire, passion, clear focus for success. It is akin to the flame at the Olympics. Purpose is what you are supposed to do, why you have an enterprise. It defines your uniqueness as a business organization. It sets you apart from the others in your business genre. It is directed toward the path of your vision. It is the reason Olympic athletes train painstakingly, develop new techniques and strategies and compete as if their very life depends on it. Values are the chosen beliefs and philosophies that guide you, your employees and your network of suppliers, customers and others in doing business together. Values guide you in making decisions, conducting business with your suppliers, serving your customers, your interaction with your employees and among themselves, in the way you treat the environment; in dealing with government institutions and regulatory bodies and many other situations and people. Your firm values are what makes you cool and collected during your moments of truth. The collective values of all persons involved in your business make up your organizational value system. Your organizational meaning or vision, purpose or mission and values system defines the climate and culture of your business environment and could make and energize or break and waste your business. You need to answer three basic questions to enable you to define your vision, mission and values: Where do we want to be? Where are we? How can we get there? Where do we want to be? It is similar to the question often asked of us when we were growing up: “What do you want to be when you grow up?” It is thinking about the future, not random thoughts but specific future issues. Strategic thinking is deciding on your actions now. It is making choices today so that you can influence what they become in the future. It is defining your basic business–core competencies, products and services, markets–thinking about how you will conduct your business. Strategic thinking and planning involves you and all the stakeholders in your enterprise. They need to participate directly or indirectly. In this our Journey in Entrepreneurship, we shall guide you in identifying and defining your organizational vision, mission, values and goals. World Peace. V. Cayanan, our reader in Japan, urges us to be like birds and leave behind what we don’t need to carry–grudges, sadness, pain, tears and regrets–and fly light. Life is beautiful and meaningful! 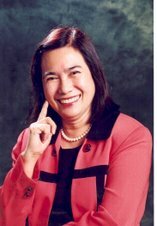 Moje Ramos-Aquino is president of Paradigms and Paradoxes Corp. and assists small and medium companies in their human resource and organization development efforts. She could be reached at moje@mydestiny.net.